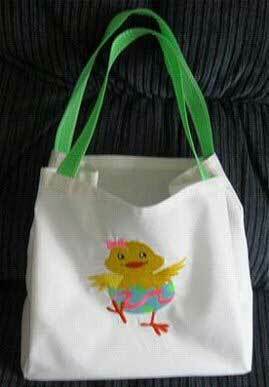 This free tote bag pattern makes a great bag for collecting Easter eggs during an Easter egg hunt. Simple and easy to make. Applique can be substituted for the embroidered chick if you wish.